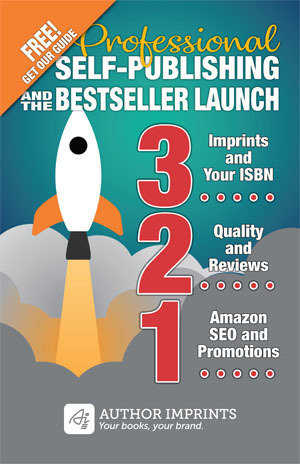 Keywords are one of the most effective ways publishers can promote Kindle eBooks on Amazon. And like any effective tool it attracts its fair share of misuse and abuse. As a consequence, Amazon enforces strict rules about their use and has been known to take swift action against books (“take downs”) when these rules are violated. A keyword can be more than a single word; it can actually be a phrase like, for example, modern architecture or true crime. It’s also sometimes called a search term. But whatever you call it, it works the same across every search engine—enter a string of words and you get relevant results. The number one rule for choosing keywords is don’t try to game the system. If you use the name of a competitive book, or a popular author, your eBook could get removed from the store, or worse. This also includes words that refer to sales rank (“best selling”) and marketing terms like “free” or “on sale.” Avoid referencing anything that is unrelated to your book’s content. Certain fiction sub-categories require publishers to include specific keywords so that the book will show up in that category. Romance, science fiction & fantasy and erotica are three examples. Learn more here at the bottom of the Selecting Browse Categories page. Test your keyword ideas by typing them in the search box on Amazon.com. As you type you will see a list of words or phrases that match your entry. Write some of these down for use in your keyword field on KDP. Keep in mind that keywords can vary by product type and may be different between print books and Kindle eBooks. Don’t hesitate to change your keywords if you see an opportunity to ride a wave of interest in a trending keyword, as long as it is relevant. If you do change them, make sure they are consistent across other formats (eBook, print, audio). Also see my article titled How to Choose Keywords to Sell Your eBook. Excellent article. Thank you for taking the time. I have been published a little under a year and have 23 titles on KDP. I am just now starting to get into the subcategories mentioned above and really focus on excellent keywords to improve visibility. New work is being published every minute. We gotta stay on top of the heap as best we can. Thanks Eric. 23 titles tells me it would be worth the effort to study this topic closely. Good luck. What about using a common misspelling of a word? I have a title with the word “blonde” in it but many people spell the word as “blond”. Is it worth putting the other spelling in as a keyword? Great advice … I didn’t know about the required keywords for certain categories. Big help. Absolutely Rich, I would add it. But only with the understanding that it has a higher value than the keyword it replaces. I have a few Q’s David about KDP keywords. My book title is E-commerce Get It Right! Essential Ecommerce Step by Step Guide to Selling and Marketing Products Online. Because I’ve used the 2 main keywords ‘e-commerce’ and ‘ecommerce’ in the title, do I need these again in the keywords box? And taking popular searches from the Amazon website autocomplete search box, such as ‘ecommerce marketing’, do I need the full phrase in the keyword box or just marketing, seo, webite, etc. The KDP help files are vague to say the least and in their example they don’t even use commas which I thought was poor, and support is even more vague. I follow quite a few publishing blogs and this is the first time I’ve found yours, via this very article. I have to say, lovely site design, nice branding and very much a blog I’ll be adding to my RSS reader in the next 2 mins! I think we are all fed up of the fly-by-night gurus and candy-floss marketing out there, you seem to be — only professional. Thanks! Ian, here are my thoughts and experience, FWIW: I separate my keywords with commas. If I have lots of keywords (tested as you have done), I’ll list those words in one place–title/sub, or keyword field–but not both. I would repeat them if I didn’t have better ones to fill all 7 keyword slots. I would repeat those in a headline for my description but only if I can word it as a benefit statement and if the result reads well. Amazon does state that their search engine (A9) is smart enough to know that e-commerce is the same as ecommerce so I wouldn’t repeat that one. I rarely use more than three words. I believe Amazon when they say we better not use another author’s name or book title. But here is the bone crusher: Google’s goal is to give you the most relevant result. Amazon’s goal is to sell books. So in my experience the optimization you do will not have a lasting effect if people are not buying your book. It is only one piece of the marketing puzzle. Thanks for the kind words Ian and I appreciate your question. Thanks for your response David, I was expecting an email to say a response has been made, so apologies for the delay. KDP, CreateSpace and Author Central all give differing opinions to my Q’s. It would be great if they actually knew. I’m still not sure whether to use ‘ecommerce, business, marketing, website’ or ‘ecommerce business, ecommerce marketing, ecommerce website’. I’ve done some testing and the results are really hard to gauge, because of the fluctuating sales which as you say also affects the rankings. If I do list them as ‘ecommerce business, ecommerce marketing, ecommerce website’, do you think I’m limiting the words ‘business, marketing, website’ to serve up other results? I can only offer an educated guess. But I’d say that the generic words like business and marketing are over-used and hard to rank for because a) lots of people use them and b) big books would dominate those. I’d go with the more specific ones.